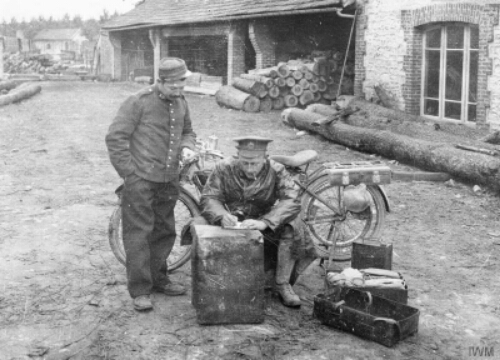 Somewhere in Belgium a motorcycle despatch rider delivers documents on his trusty Douglas. 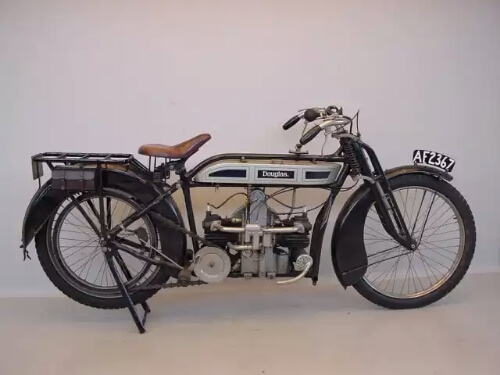 Flat twin in pristine condition dated as 1914. It is a 500cc flat twin with about 3 1/2 ponies. Douglas provided 70,000 machines for the Great War many which probably ended up to their handlebars in mud.